Photo from the Ansky Expedition. Courtesy of YIVO Institute for Jewish Research. A few years ago, when I was asked to contribute a volume to a series on "Key Words in Jewish Studies," I proposed a book on shtetl—and was met with some skepticism. Was this really a key word, on the order of, say, Haskalah or Zionism? What I thought to be readily self-evident was, apparently, not so. Still, the series editors were open to the suggestion and encouraged me to submit a proposal. So I hunkered down to make my case and, long story short, convinced them to sign on a volume on shtetl (which appeared in January 2014). As I set to work on the book, it occurred to me that the uncertainty about this subject's salience in Jewish Studies should be addressed as an issue in its own right. In fact, scholarly attention came rather late to Jewish life in the provincial towns of pre-Holocaust eastern Europe—that is, what shtetl has come to signify, especially in languages other than Yiddish, in which the word simply means "town": any town, anywhere, at any time, inhabited by anyone. To some extent, this belated scholarly engagement reflects a general reluctance in the academy, until relatively recently, to study "ordinary" people and places, as opposed to great individuals, elite groups, major events, large sites, canonical works, and big ideas. Though these provincial east European towns had become home to a Jewish population of unprecedented scope by the eighteenth century, scholars attended to Jewish life there only after Jews had begun leaving these places in large numbers, by dint of urbanization and immigration, in the second half of the nineteenth century. Towns that had once constituted a cultural as well as geographic frontier for Jews came, over time, to be considered a backwater. Subsequently, these places were reconceived as heritage sites—the last locus of an "authentic" Jewish folk culture newly valued by urban, cosmopolitan Jews (and some non-Jews as well)—and attracted the attention of linguists, folklorists, art historians, and musicologists, among other researchers. After Jewish life in eastern Europe was roiled by World War I, the Bolshevik Revolution, and the Russian Civil War, more scholars—including historians, sociologists, and economists—scrutinized these provincial towns within the rapid, if patchy, professionalization of Jewish Studies during the interwar years, both within and without the academy. Much of this research was initiated by philanthropies—or, in the Soviet Union, government agencies—seeking to either rehabilitate or transform a beleaguered Jewish population struggling to recover from the war and economic depression. This intellectual ferment came to an abrupt halt during World War II, when Europe's Jews were assaulted with unprecedented swiftness, thoroughness, and savagery. Yet in the wake of this devastation came new scholarly attention to the Jewish life that had once thrived in these provincial towns, as the fields of Jewish Studies, East European Studies, and Holocaust Studies took shape within new centers in North America and Israel as well as in Europe. 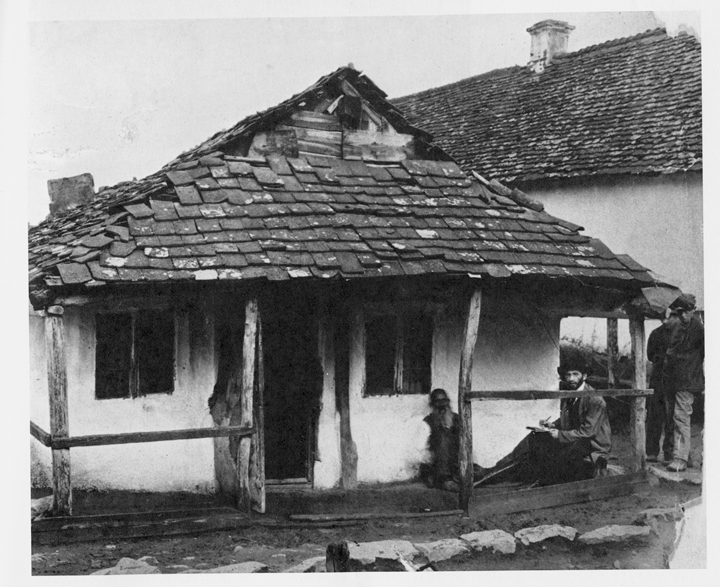 During the postwar decades the word shtetl emerged as shorthand for pre-Holocaust east European Jewry as a whole and, moreover, connoted an understanding of its way of life as a common, comprehensive, intimately communitarian cultural system, defined by religious traditions that distinguished and insulated Jews from their neighbors. This use of shtetl, especially in languages other than Yiddish, exemplified as well the word's evoking of a "vanished world," of which only vestiges remained, including the reduction of Yiddish from a full vernacular to a handful of isolated words and expressions. The fall of communist governments in Eastern Europe at the end of the twentieth century disrupted this declinist perspective and opened up new possibilities for scholars there and around the world to study the region's Jewish past as well as its present, including attention to Jews still living in these towns. By the turn of the millennium, shtetl studies had come into its own (exemplified by the surge in use of the word shtetl in several hundred English-language dissertations after 2000, compared to only a handful of instances beforehand). Meanwhile, the shtetl had been established as a fixture of modern Jewish culture in eastern Europe and throughout the international diaspora of Yiddish-speaking Jews and their descendants, manifest in works of print culture, visual and performing arts, as well as communal and family lore. These engagements are inherently social and on the whole driven less by intellection or ideology than by affect and the senses. At the same time that the shtetl has appeared in this broad spectrum of cultural activities, it has provoked diverging sentiments: disparagement (by Zionists, communists, cosmopolitanites), valorization (by Hasidim, Yiddishists, genealogists), and an often sentimentalized or exoticized curiosity (by immigrants and their children, fans of Fiddler on the Roof or Isaac Bashevis Singer's fiction, non-Jews now living in towns that once had substantial Jewish populations). Recent scholarship has often addressed the complex phenomenolization of the shtetl through a binary rubric of "history vs. memory" or "myth vs. reality," but this topic entails a much more involved imbrication of the work of scholars, novelists, journalists, and artists with Jewish life in eastern Europe's provincial towns. Reading fiction about the shtetl, participating in the fieldwork of researchers, or encountering tourist visitors became part of Jewish life in these communities, especially in the interwar years. After the Holocaust, this interrelation was reconfigured. As the shtetl received unprecedented scholarly attention and creative conjurings flourished in the absence of actual towns as exemplars of Jewish vernacularity, an array of new vernacular practices centered on the shtetl arose. These efforts, emerging in response to the destruction wrought by genocide, address a particularly daunting challenge, as they confront the limits of encountering a lost vernacular way of life. Many of these practices—museum exhibitions, documentary and feature films, websites, works of visual art, live performances, tourist activities, courses of study—approach the shtetl through the rubrics of scholarship or with the help of academics. The distance between the erstwhile quotidian and the present one, a distance once defined in part by scholarship, is now often obscured or collapsed. Engagé scholarship on these towns, formerly the work of activists seeking to rescue or reform the Jews living there, now seeks ways to bring people, whether or not they are Jews, closer to this lost vernacular sensibility. More than a referent for pre-Holocaust east European Jewish culture, the word shtetl and what it has come to connote have become fixtures of post-Holocaust Jewish culture. The word's shifting semantic value marks this development, as shtetl acquires a kind of agency, understood not merely as defined by Jewishness but as defining of Jewishness—that is, this phenomenon of social geography and the values associated with it now inform the nature of Jewish life. This shift is manifest in the expansive use of the term shtetl as a metaphor for Jewish communality (in places ranging from Melbourne, Australia, to Bessemer, Alabama) and in the invoking, reenacting, displaying, or imagining of the shtetl within new Jewish definitional practices, including those that non-Jews participate in and sometimes initiate. 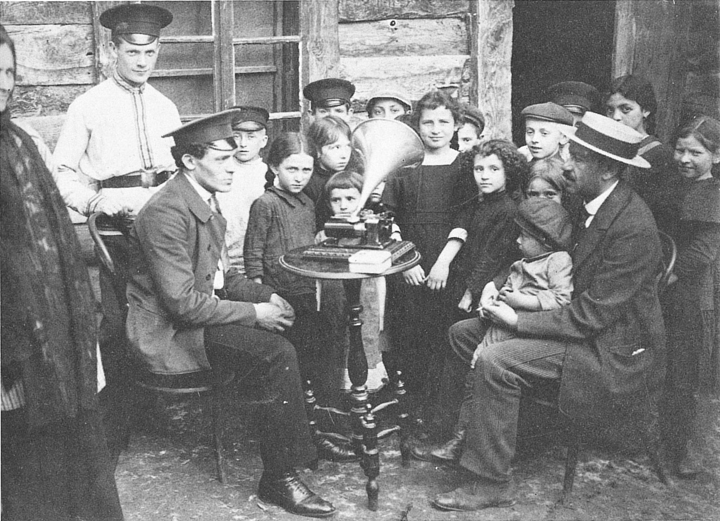 These practices constitute new Jewish folkways, for investing added values in the term shtetl is primarily a self-styled, grassroots phenomenon. As it indexes a range of associations, the term exemplifies east European Jews' vernacular energy— resistant to conformity or standardization and unashamed of its difference, humbleness, vulgarity, inconsistencies, or hybridities. By dint of its vernacular base, the shtetl is esteemed as a locus for encountering Jewish rootedness in the colloquial, however that encounter might be configured. The history of shtetl as a discursive subject, both in the academy and beyond, evinces signal shifts in conceptualizing Jewish vernacularity as a phenomenon of modernity. This notion distinguishes colloquial Jewishness from its imbrication with elite Jewish mores by dint of a new cultural self-consciousness. Therefore, beyond its importance for scholarship on Jewish life in eastern Europe from the early modern period to the present, shtetl exemplifies a dynamic relationship with vernacularity in Jewish Studies more generally. This relationship entails changes not only in how scholars study the lives of "ordinary" Jews but also in how scholars understand their work in relation to vernacular practices, past and present. Thinking with the shtetl has been a widely shared vernacular activity, primarily undertaken as a means of Jewish self-realization. Participants in this activity have included people living in these provincial east European towns, former residents, visitors, as well as people with no direct experience of these places. For the most part, this undertaking has not been an academic exercise. Scholarship not only came relatively late to the shtetl but has had, ultimately, a limited impact on its conceptualization. Rather, engaging the shtetl has mostly been a subjective, often imaginative, impassioned, and at times explicitly polemical activity. It is the scholar's challenge to acknowledge— and to respect, even while critiquing—the difference between the agendas of most of these engagements and an academic method. The protean, populist nature of shtetl as a key word is therefore both its greatest challenge to Jewish Studies and, at the same time, its greatest virtue—the key to desires that drive a fascination with the vernacular Jewish past. 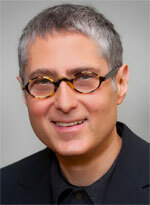 Jeffrey Shandler is professor and chair of Jewish Studies at Rutgers University. He received a PhD in Yiddish Studies from Columbia University and has held post-doctoral fellowships at the University of Pennsylvania and New York University. Shandler has also been a visiting scholar at the Andrea and Charles Bronfman Center, Tel Aviv University; the Center for Religion and Media, New York University; the Jewish Studies Program, University of California Berkeley; the Shoah Foundation, University of Southern California; and the Australian Centre for Jewish Civilisation, Monash University. Shandler’s books include While America Watches: Televising the Holocaust (Oxford University Press, 1999); Adventures in Yiddishland: Postvernacular Language and Culture (University of California Press, 2005), a study of contemporary Yiddish culture; Jews, God, and Videotape: Religion and Media in America (New York University Press, 2009), which analyzes the impact of new communications technologies and media practices on American Jews’ religious life, from early recordings of cantorial music to hasidic outreach on the Internet; and Shtetl: A Vernacular Intellectual History (Rutgers University Press, 2014), an examination of how Jewish life in East European provincial towns has become the subject of extensive creativity, memory, and scholarship, from the early modern era to the present. Among other titles, Shandler is the editor of Awakening Lives: Autobiographies of Jewish Youth in Poland before the Holocaust (Yale University Press, 2002) and co-editor of Entertaining America: Jews, Movies, and Broadcasting (Princeton University Press, 2003) and Anne Frank Unbound: Media, Imagination, Memory (Indiana University Press, 2012). His work has been translated into French, German, Japanese, and Polish. Shandler’s translations of Yiddish literature include Mani-Leyb’s children’s classic Yingl Tsingl Khvat (Moyer Bell, 1986) and Emil and Karl, a Holocaust novel for young readers by Yankev Glatshteyn (Roaring Brook, 2006). He has curated exhibitions for The Jewish Museum of New York, the National Museum of American Jewish History in Philadelphia, and the YIVO Institute for Jewish Research. Shandler has served as president of the Association for Jewish Studies and is a fellow of the American Academy for Jewish Research. Living Side by Side, Really? !